​Who are the East Coast Knights? Maybe they were lying to you about us too. 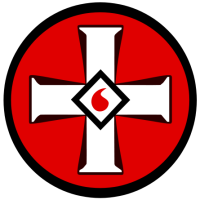 We're the patriotic, God fearing, family oriented working men & women of the East Coast Knights of the Ku Klux Klan, and we're fighting for the same values your family lives & breathes every day. We do not preach hate & at no time would we react hatefully to any man, woman or child. We do wish to preserve the White Christian ways. The same way other races wish to preserve their race and beliefs. and right to say that we are White and Proud! or religion never to be persecuted or questioned as to their motives. How long will the White Race have to continue persecution? We will not let this continue! We know that there are those out there who strongly agree, but do not wish to stand up for your rights. The rights of your children, grand children and the future for those to come. Think about your loved ones. Those once considered minority races are flourishing recieving welfare handouts. Meanwhile, all the hard working people can't get a break. Our own government is taking jobs away sending them over seas or making it appealing to hire illegal aliens. Putting hard working Americans out of jobs. bills are too much to think about. We can go on and on, but its up to you America! Join the East Coast Knights and make a stand! Once a member, you are family. there will always be a Ku Klux Klan fighting for truth and justice .